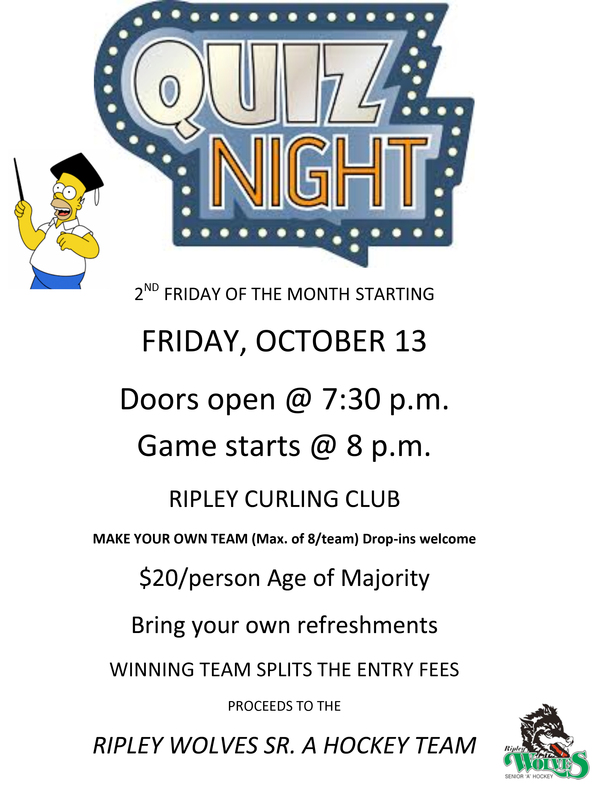 The Ripley Wolves will be hosting a monthly community quiz night on the second Friday of the month, starting Oct. 13. The fun event will be held at the Ripley Curling Club and it is $20 per player and bring your own refreshments. Teams can have a maximum of eight players, but if you don’t have a team, drop in and we’ll find you one! Age of majority only. The winning team receives half the entry fees, while the other half will go to the Wolves to assist with expenses incurred during the Senior A hockey season. The doors open at 7:30 p.m. and the game will start at 8 p.m.